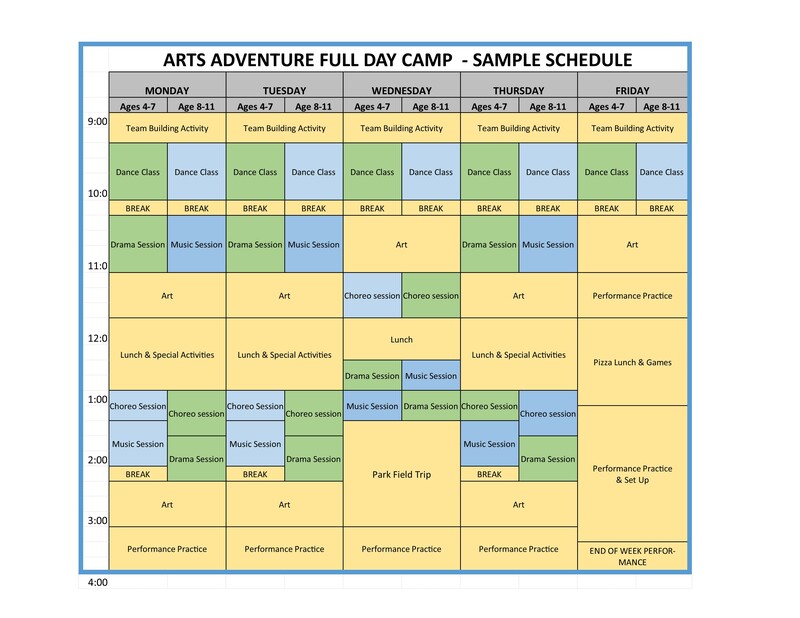 A great program for creative kids, our new Arts Adventure camp includes classes in dance technqiue as well as drama, musc and art. Led by experienced instructors, children will receive quality insturction in the arts. Children will be divided into age groups so that each child can be appropriately challenged within the program. Each week will conclude with a special performance highlighting student acheivement and creativity and centering around a special theme.